Gas Powered Games, known for huge, ambitious games like Dungeon Siege and Supreme Commander wants to make what sounds very much like a huge, ambitious game. 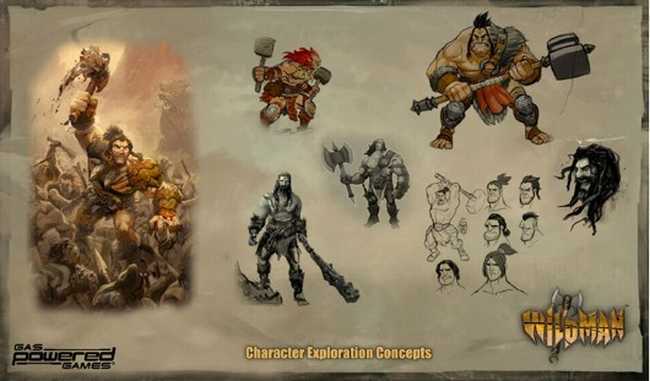 GPG is launching a $1.1 million Kickstarter to fund Wildman, an action RPG/RTS/MOBA with at least one redundant acronym. How the game differs from previous GPG’s previous RTS/MOBA Demigod is not yet clear. According to CEO Chris Taylor, this money is make or break for the company. “We spent all the last dough that we’ve had, and the last several months working on it. So we’re betting the company on it,” he said. Apparently, GPG was in the same position while making Dungeon Siege and Supreme Commander and that all worked out. Further development on GPG ‘s Age of Empires Online has recently been stopped, possibly adding to the financial pressure.